On Friday, May 13th the S.P.I.R.I.T. team was dispatched to the apartment home of Mirabai in Sacramento. By the time Mirabai contacted S.P.I.R.I.T. she was at her wit’s end, having been physically assaulted, pursued, and harassed by a spirit or spirits since childhood. Now in her sixties, and a sensitive herself, Mirabai seemed to be the focal point of the attacks, although many of her family members had fallen suddenly and unexpectedly ill in the last few years, as the attacks seemed to have intensified. The physical, violent assaults in the back master bedroom of Mirabai’s apartment home had become so unbearable in fact that Mirabai had not slept in the bedroom for over a year. A hostage in her own home, she was sleeping on the couch, finding excuses not to go home to her apartment at night, and living in fear. To get more background on what may have caused this level of activity, S.P.I.R.I.T. members interviewed Mirabai about her entire past — this is a level of personal history the team seldom finds to be necessary and in most circumstances would be uncomfortable with. However, in this case, Mirabai was very comfortable with it and she said she wanted to get her story out; indeed the family’s history turned out to be the key to the case. Mirabai explained that she grew up in rural Michigan in the 1950s. Her family was at the time able to acquire a beautiful recently built two-story home to make into the family homestead. After they moved into that house was when the family first experienced paranormal activity. Often dismissed by her parents and other family members, Mirabai experienced physical oppression by an unseen force, being held down in her bed, kicked, and seeing the “scary man” in the upstairs hallway of the home. The longer the family lived in the home, the more the physical attacks escalated — experienced (and still usually dismissed) at times by other members of the household, but always seeming to focus upon Mirabai herself, as she was becoming more and more sensitive to the paranormal as time went on. When Mirabai’s family finally left the state for California decades later, Mirabai felt a sense of both sadness and relief — sadness at leaving her hometown behind forever, and relief that her quietly endured paranormal nightmare was finally over. Except that it wasn’t. The malevolent entity followed her and her family to California, and the attacks continued to escalate. Mirabai’s surviving family members were no longer able to dismiss the attacks, and indeed two of them ended up in the hospital with serious conditions. Mirabai tried to combat the force with her own gifts and research, but found herself ultimately oppressed by a force that had had her under its thumb since childhood. In April of 2015, just over a year before the S.P.I.R.I.T. team was called in, Mirabai states that she was attacked in her sleep in the back bedroom, being awakened by a severe pressure in her skull and then being picked up out of bed and violently thrown across the room. She called 911, not knowing what was happening. First Responders found no evidence of a break-in, and nothing medically wrong with her aside from being visibly upset and shaken. It was after this incident that Mirabai refused to sleep in the back master bedroom anymore. Mirabai conducted research into the history of her childhood home, and was astonished to find that the home had been built just after World War II by a man who had claimed at the time to be a German immigrant who fled Germany during the war. The man died in the home shortly before Mirabai’s family had moved in. Although impossible to prove, Mirabai herself and three sensitives on the S.P.I.R.I.T team unanimously concurred: this was the man whose spirit had persecuted Mirabai’s family for decades — the restless and angry spirit of not just a German immigrant, but an officer of Germany’s Third Reich who had fled Germany after the war to escape prosecution for holocaust war crimes in the Nuremberg Trials. Such a spirit would arguably not have been at peace with a minority family moving in to the house that he built to escape discovery of his crimes against humanity. Mirabai and the team members also picked up on the presence of the spirit of a kind but sad older gentleman who had died in the apartment building; indeed, a year before an old man had died downstairs and had not been discovered for two weeks. This spirit, however, could not be shown to be haunting Mirabai’s apartment specifically (apartment hauntings can often be subject to “transient spirits” form other areas of an apartment building). S.P.I.R.I.T. team members felt a heavy, oppressive presence in the back master bedroom, and were able to capture anomalous orb photographs, one of which shows the orb in motion during an EVP (Electronic Voice Phenomenon) session. A “red orb” was also captured just after the EVP session. Colored orbs in motion like this taken indoors cannot be readily explained as dust or light refraction, and while not conclusive, must be considered as possible, even probable, spirit activity. In response to the question “How many spirits are here?” the SB 11 Spirit Box responded with “12” two times in a row. This would seem to confirm the presence of multiple spirits around Mirabai, attempting to help and protect her. Indeed, one of the SB11 hits said, “Help her.” Orbs can be seen plainly flying in and out of the shot on video of the SB11 Spirit Box and EVP sessions conducted in the home that evening. This was a difficult and rare type of case for the team, as we were dealing with an evil but human spirit that was not interested in interacting or telling its story; it was interested only in hiding from the team and continuing its decades-old campaign of hate and violence against Mirabai and her family. The cleansing thus had to be particularly strong in this case, incorporating innovative cleansing techniques, such as the use of tar water and yelling at it in a way and in a language that would (and did) get its attention. As of the writing of this article (August 2016) Mirabai has experienced no further negative paranormal activity in the apartment. Although understandably still unnerved and experiencing anxiety after a lifetime of persecution by a vicious and malevolent spirit, Mirabai has attempted to sleep in the back master bedroom a couple times, but still has a lot of recovery to do from this experience, but she is beginning to be able to reclaim peace in her life. As of this time, the negative spirit seems to have been removed from Mirabai’s life, and there have been no further attacks. Her protective spirits seem to be stronger around her now, and lifting her energy up. Classification: Active spiritual attack by a dark but formerly human entity. This entry was posted in Investigation Articles, Investigations, Latest News and tagged energy, evil, EVPS, History, K2, Sacramento, SB-11, Spirit Box, Spirits, spiritual attack. Bookmark the permalink. The initial investigation of my home took place on April 7, 2013. That was when I found out that I was being haunted not only by my great uncle, but by two other adults and three children. Therefore, this was both an investigation and a simple spirit communication, since most of the information presented in this article is information I had already put together, since that original investigation. That picture now hangs above my bar in my Sacramento apartment, and as such the three children who watched me grow up now haunt my apartment and have become attached to me. I have no real idea why my great uncle is hanging out, other than the fact that he always really liked me as a kid. The other two spirits in the apartment are more vague in a way – the adult female spirit I know very little about, and the male is a “spirit guide” type of spirit that I picked up back in 1996 when I went through a phase in which I was very interested in Native American culture. This male spirit has always proven to be helpful and protective. The evening began by taking baseline K-11 meter readings, and then placing a K-11 meter with the temperature alarm and the MEL Meter on a chair in the hall between the bathroom and the master bedroom. When Kara approached the chair the temperature alarm went off to three levels – indicating an instant 15 degree drop in temperate at the device. Kara then felt a small child “hugging her legs.” Feeling disembodied human hands on you is a regular occurrence in the apartment. The K-11 meter / temperature alarm was then used to communicate with the spirit of the child and actually play a guessing game (which hand or pocket is the nickel in?) with the spirit. This was captured on camera. 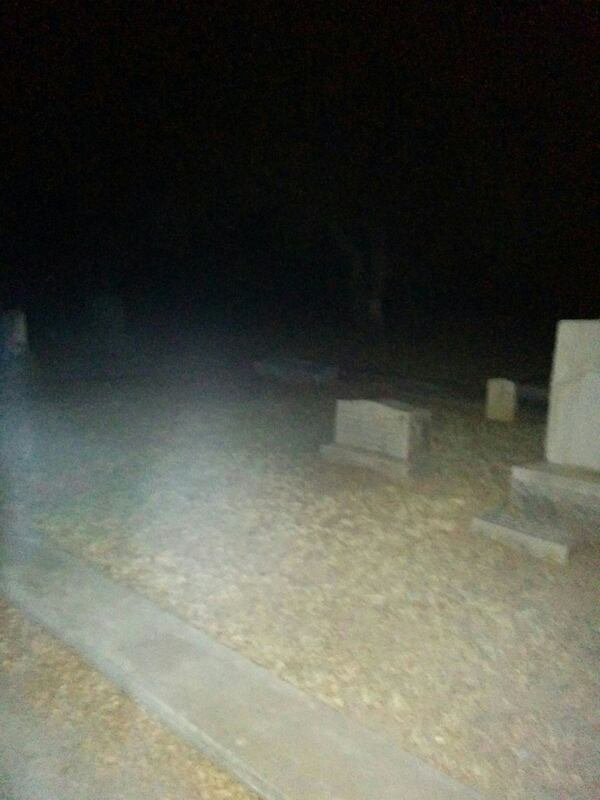 During this time, multiple self-illuminated orbs can be plainly seen in the video clips darting back and forth, going into investigators, and even making right angle turns. In the master bedroom, Shawnda and Jason captured more bright, self-illuminated orbs entering and exiting the bedroom, making right angle turns into the living room. EVP’s were inconclusive, but an SB-11 Spirit Box session resulted in ongoing interaction between the group and the three children spirits, who clearly identified themselves as Peter, Emily, and Boyd. This confirmed information empathed earlier by Melissa that these were in fact these childrens’ names, and that they had used the painting to escape the dark forces in the house that I grew up in, the same house in which they were murdered. When prompted, the children clearly spoke out their own names on the SB11 Spirit Box. They identify with Brent and Melissa as parental figures. Based upon the evidence gathered during this investigation, on the ongoing high level of Casper-like activity in my apartment home, and upon previous research I have done into the history of my childhood home, the S.P.I.R.I.T. team decided to reach out to the current owners of the Wyoming home and offer a full-scale professional investigation of the entire area. Sadly, they were not interesting in bringing up the past. This entry was posted in Investigations, Latest News and tagged California, Casper haunting, Entities, EVPS, Ghosts, Haunted, K11- Meter, La Riviera, Mel-Meter, Paranormal Investigation, Sacramento, SB-11, Spirit Box, Spirits, Wyoming. Bookmark the permalink.